As the legal marijuana market expands, companies are springing up to satisfy an increasing demand for cannabis. Just like any other industry, a business that can be innovative and create new products, or improve on existing ones, can give itself a competitive edge. Four years ago, Scott Bryant and Victor Berrio, the founders of Pineworx, saw opportunity in the pre-rolled joint business. At the time, pre-rolls carried a stigma. Quite often, they were a way for dispensaries to make a buck from trim and low-quality flower. Produced during downtime by budtenders and other staff, consistent quality was hard to find. Joints packed too tight wouldn’t burn well, while loose ones ran from end to end in nothing flat. However, many consumers, particularly new or infrequent buyers, appreciate the convenience of pre-rolls. Scott and Victor knew if they could consistently mass-produce a well-rolled joint with quality flower, they could succeed. After trying traditional cigarette machines and options specifically for marijuana, Scott and Victor found the existing technology inadequate for their needs. But they also realized that the rolling machine itself was only one part of the solution. Preparing the herb before rolling was just as important for consistent quality. Scott and Victor decided to address both challenges by starting from scratch. The team at Pineworx has created a proprietary machine for filling pre-roll cones (the pre-made cigarette paper tubes and attached filter or crutch), designing it from the ground up and producing each part with a 3D printer. Embracing cutting edge tech was crucial to the success of Pineworx. “This company could have never happened without the technology of 3D printers,” noted Victor. While the 3D printer made the production of their machine possible, it didn’t make it easy. The Pineworx pre-roll machine is made from more than 5,000 individual parts, each of which went through 40-50 prototypes. Their invention is a closely guarded secret. Only a handful of people have even seen it, and unfortunately, I was not able to observe it in action. But according to Scott and Victor, two employees, using cannabis that has already been prepared for rolling, can produce 6,000 joints a day. The preparation of the marijuana to be processed into pre-rolls was the other major challenge faced by Pineworx. Many variables, such as moisture and resin content, or the presence of seeds and stems, has to all be accounted for. For nearly three years, Pineworx has collected data on these variables, cross-referenced by strain and grower. Analyzing the data allows the company to fine-tune the process for each batch of incoming product and create the homogenous fill required for a good joint and smooth operation of their equipment. Once Pineworx had perfected their machinery and preparation processes, the next step was trying to match their impressive production capacity with customer demand. 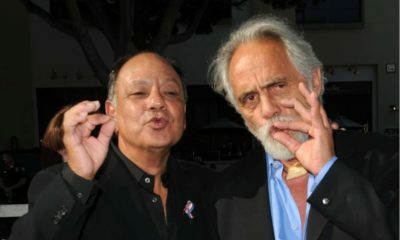 Jay’s Pre-Rolls, the first brand started by Victor and Scott, was dominant in the San Diego dispensary scene and was making forays into the lucrative Los Angeles market, all within a year of the brand’s debut. But when they were slapped with a cease-and-desist demand from a tobacco company that claimed rights to the name “Jay’s,” they tried to cut a deal. Unfortunately, that didn’t prove to be a viable option, so they decided to close their operation of the brand and move on. While developing new company-owned brands, Pineworx has also branched out into a notable B2B model. The company produces house-brand joints for dispensaries, growers and distributors, as well as unbranded bulk product. With a selection of sizes, cones, strains and potencies offered, buyers have a choice of about 70 unique pre-roll products to choose from. Pineworx also offers design and marketing assistance that allows entrepreneurs to create or develop their own brand concepts. From production to packaging, Pineworx has a range of services to meet its clients’ needs. So, what’s in the future for Pineworx? As long as their proprietary technology continues to give them a leg-up on the competition, the plan is to keep it confidential and grow their production to one million joints a month, from their current rate of about 1.5 million annually. As competing mass-producers enter the marketplace, Scott and Victor will consider producing additional equipment to sell or lease to other companies, in order to keep their business rolling. Expert Joints Premieres on High Times TV Today! What Exactly Are Cavi Cones?